Texas Tech's International Film Series and Discussion Group shows a film once each month at the Fredericksburg, Texas campus. These films are from all over the world, and are offered not only to increase appreciation of the best foreign language cinema, but also to further awareness of history and our world. A discussion of the film with a knowledgeable speaker follows each showing. This month's film is entitled The Seventh Seal and is a Swedish film made in 1957. A man seeks answers about life, death, and the existence of God as he plays chess against the Grim Reaper in this Ingmar Bergman classic. Participants are invited to bring a canned food item for the Tech Can Share program to be donated to the local food bank. The movie starts at 2 pm and will end at 5 pm. The film is free of charge for TTLLC members and $2 per film for non-members; pre-registration is encouraged. Call (830) 990-2717 to RSVP. A murder in Kenya sends a man across 3 continents to uncover the conspiracy. Matinee prices: All movies before 6PM everyday are only $4 for all tickets. The Stagecoach Theater (2254 S. US Highway 87 in Fredericksburg, Texas) presents The Rocky Horror Picture Show just in time for Halloween! The showing is at 10:30PM and everyone is encouraged to dress up in costume. Call (830) 997-1777 for more information. Buc O Brian's, at 304 N Llano Street in Fredericksburg, Texas, presents "Scaryoke Nites" Costume Contest, with $100 tab each night. No cover charge. Visit Triple LLL Farms, at 9229 Old San Antonio Road, south of Fredericksburg, Texas, stroll through the fields of thousands of lavender plants, and cut your own! ($4) Also visit the Trading Post, Triple LLL Farm's gift shop featuring lavender items such as soap, plants, antiques and collectibles. Call (830) 990-4195 for more information. Benefiting Relay For Life, this event features the FabTones, a central Texas Beatles tribute band, evoking the early-1960s era with the same costumes, instruments, and singing style of the British super-group. Organizers Paul Camfield, Phil Houseal, and Graham Pearson plan an evening that celebrates the 40th anniversary of the Beatles' mania in America in 1964 and 1965. In keeping with the Halloween spirit, guests are encouraged to dress in the style of the era. The party runs from 7 to 10 p.m. at Criders Reception Hall (1668 S Us Highway 87 in Fredericksburg, Texas), with doors opening at 6 p.m. Free parking. Fans of all ages are invited to this family event. Wine and beer, sandwiches, and snacks will be for sale. Admission is $15 per person or $25 per couple. Students ages 12 to 21 are $7, while children age 11 and under are admitted free. Groups of more six or more are encouraged to reserve a table in advance. Reserved tables will be nearest the stage. A reserved table that seats eight is $100. Tickets can be purchased in advance or at the door, or you can email beatles@fullhouseproductions.net for more info. October Arts Encounters at The Benini Foundation Galleries and Sculpture Ranch (377 Shiloh Road in Johnson City, Texas) Presents A Celebration of Creativity – Arts Encounters! Events begin at 1PM both Saturday and Sunday. The Arts Encounters at Benini’s this month will cover a wide range of creative talents – from sculpture, to beekeeping, photography, music and poetry. Nan Standish Blake, who currently teaches at Texas A & M University in the Department of Architecture, has been shooting images her entire life. Her presentation, aptly titled “A Life of Photography,” will show slides of her work through the years. Colleen Gardner, who has worked at the Bamberger Ranch Preserve for more than six years, will present “Beauty and the Buzz”, about the art of beekeeping. Gardner earned her undergraduate business degree from Austin College in Sherman, Texas, and just completed her masters in environmental studies from the geography department at Texas State University in San Marcos. Immediately prior to her employment at Bamberger ranch, Colleen served more than two years in the US Peace Corps in Niger, West Africa. Two of the newest installations at The Sculpture Ranch are granite monoliths by Russ Thayer. His presentation is entitled, What Now! More on that in next week’s Johnson City Record News. The Mudsliders from Harper – a lively musical group including Jan Zenner on the fiddle, Karen Conway on drums, Rusty Cox on guitar and Jerry Conway on banjo and guitar, will provide an exciting musical feature. An Arts Encounter poetry feature begins with Peter Barbour, who lives in Johnson City and is currently writing novels. Arts Encounters - Everyone Welcome, Free of Charge. Call (830) 868-5244 for more information. LBJ National Historical Park's guest lecture series continues with "Taking Advantage of Sunshine", a program on solar-electric systems. It will be presented by Andrew McCalla, president of Meridian Energy Systems in Austin. McCalla has designed and installed hundreds of solar-electric systems over the past decade. Questions will be taken about how this alternate energy source can enhance home and business needs. The Johnson City National Park guest lecture series is offered free of charge, at 100 Ladybird Lane in Johnson City, Texas. Call (830) 868-7128, x244 for more details. Two brothers who are separated in an Indian raid later reunite. Something wicked this way hops as Wallace & his loyal dog, Gromit, set out to discover the mystery behind the garden sabotage! This annual event is especially designed for ladies to enjoy an evening out with a delicious catered meal, to take a peek at the latest fall fashions (modeled by local talent) as well as learn a little bit about a Wellness Topic specific to womens health. This year, women will learn the Good News about Stress by local couselor, Jan Alexander. Bring a friend, your sister or mother and join in on the fun! Cost for the event is $20 per person, and reservations are required by Friday, October 21st. Call the above listed phone number for more info or to make reservations. Offered through the Fredericksburg Independent School District Community Education, this course is about estate planning, wills and living trusts, and other life planning issues. It will be held on two nights, Monday, Oct. 24th, and Wednesday, Oct. 26th from 7PM - 8:30PM both evenings. The fee for the course costs $20. You must pre-register; go to the Community Education office at 234 Friendship Lane or call (830) 997-7182. Toni Price performs live at Torre di Pietra Winery from 2 - 6PM, at 10915 E. U.S. Hwy 290, just west of Fredericksburg, Texas. Come early and enjoy Texas wine, shop for unique gifts, and relax to music in the piazza and patios. Torre di Pietra opens at 10AM. You're invited to the Photography Is Art Gallery's 1st Anniversary Celebration & Art Sale, at 414 East Main Street in Fredericksburg, Texas! The Celebration includes a special book signing by Kimberly Gremillion and musical entertainment by Galo Gutierrez. And 28 of PIAG's artists will have new work available for sale! The Fly-In will have two fly-outs, one to Enchanted Rock on the morning of the 22nd, returning to T82 for breakfast in the Hangar Hotel, and second to a grass strip near Bandera, where a BBQ lunch will be waiting. There will be a formation ground school for those desiring to begin formation, and a number of formation flights during the fly-in weekend. Fuel prices have been negotiated and will be approximately forty cents below market for the RRSW or any Swift for the weekend. The 2005 Harvest Classic European and Vintage Motorcycle Rally takes place this year in scenic Luckenbach, Texas (near Fredericksburg). Organized by Central Texas Motorcycle Charities, this gathering of Classic and European motorcycles raises money for Candlelighters Childhood Cancer Foundation. Anyone who enjoys classic motorcycles is welcome to come out - scooters welcome too! Entry fees are $25 per individual, $40 per couple. Click here to register online! The Harvest Classic Rally weekend includes camping, a bike show, sponsor expo, raffle and auction, bike portraits, dinner & a moto-movie. It's a fun, family-friendly event for a worthy cause - helping kids fight cancer. 726 S. Washington Street in Fredericksburg, Texas. Session begins at 2:30PM, to include a presentation of Lange's Mill History by Mae Durden-Nelson and Warren Hahn. Symposium continues Saturday, Oct. 22nd at 8:30AM with a book review by Esther Lehmann of Nine Years Among the Indians, a 9:30AM presentation of Hill Country German Language by Dr. Hans Boas of UT-Austin, 10:15AM presentation of Zedler's Mill by Randy Engelke, 10:45AM Honey and Molasses by James Feuge and Viola Feuge Jones, 11:15AM Telephones by Vernell Usener Ellebracht and James Feuge, 11:30AM Determining Origins of a German Ancestor by Suzanne S. Bettac, and a German luncheon at 1PM. Symposium ends at the conclusion of the meal. For more information, please contact the general chairman, Dr. James Feuge, at (830) 669-2236. Filmed in the Texas Hill Country, the world premiere of 'The Separated' will be in Fredericksburg, Texas, at the Stagecoach Theater, 2254 S. US Highway 87. 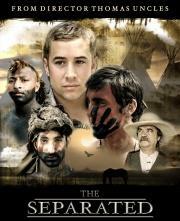 'The Seperated' is a film inspired by true events and features many locals in the cast. It is a story about two brothers in the mid-1800s who are separated by an Indian raid, one being raised by Commanches, and the other by Texas Rangers. Their later reunion requires each to reevaluate their cultural upbringing. The actors, director, and author of the book inspiring these events will all be live in person at this very special presentation. There are two showings, one at 7PM and one at 9PM. Tickets are $20/per person and available during regular box office hours at the Stagecoach Theater. Visit the official website of 'The Separated' to learn more about the story, the actors, and to watch the trailer! Fredericksburg, Texas' Holy Ghost Lutheran Church, 110 E. San Antonio Street, will have a Polka service featuring Dutch Treat on October 15th at 6PM and on October 16th at 10:30AM. See you there! Call (830) 997-2288 for information. The HUB is sponsoring this year's Dance Fest 2005, on Fredericksburg's Marktplatz, and features musical entertainment by Slim Roberts and The Texas Weather Band from 7 pm to 11 pm. All proceeds benefit Meals on Wheels, and everyone is welcome. Admission - $5. BYOB – soft drinks & snacks available. Call (830) 997-7131 for more information. Tennis tournament with singles, doubles, and mixed doubles at Lady Bird Johnson Municipal Park in Fredericksburg, Texas. Call (830) 997-3580 for information. This is the last show of the season, and will bring back to Fredericksburg, Texas, acts from several of the season's popular concerts, including: The Austin Jazz Workshop, The Durdens (gospel), Sarah Jarosz (13-yr. old mandolin player and singer), and The Grassy Knoll Boys. There will be a cash bar with soft drinks and water, as well as food for sale. Bring your own lawn chairs! Tickets are $10/person with a $3 per person discount available in advance at the Pioneer Museum Complex, Vereins Kirche Museum, Gastehaus Schmidt, Uptown Welcome Center and Knopp & Metzger. Gate opens at 5PM, with the first band starting around 6PM. Once a month, Trade Days returns to Fredericksburg, Texas! Just 7 mi. east of Fredericksburg, on Highway 290, you can shop with over 300 vendors, where you can find acres of antiques, collectibles, tools, crafts, shabby chic, primitives, ranch furniture, unique clothing, jewelry, and food. Relax in the biergarten while listening to live music! For information, call (830) 990-4900. Visit Triple LLL Farms near Fredericksburg in the Texas Hill Country. Stroll through the fields of thousands of lavender plants, and cut your own! ($4/bundle) Also visit the Trading Post, Triple LLL Farm's gift shop featuring lavender items such as soap, plants, antiques and collectibles. Call (830) 990-4195 for more information. Rendezvous-reunion for the South Central BMW Owners. Admission is $25/per person. The reunion Lady Bird Johnson Municipal Park, 432 Lady Bird Drive, Fredericksburg, Texas. For more information, call (281) 343-0412. Two dozen men in traditional German sailor's outfits will make their 2nd visit to Fredericksburg, Texas, to perform at the Fredericksburg Brewery's Indoor Biergarten at 245 E. Main Street. Show time is 7 pm. The choral group is from Burhave on the North Sea coast near Bremerhaven in Niedersachsen, and they will be accompanied by a team of accordionists. Admission is free with a freewill donation. Limited seating is available in the biergarten and admittance will be closed when seats are filled. Food and drinks will be available in the biergarten before, during, and after the show. For more information, call (830) 997-1646. Fredericksburg's Texas Tech University's Lifelong Learning Community will host a presentation and book signing with a reception for critically acclaimed German-American author Ute Carson. Ms. Carson is the author of Colt Tailing, a poetic and compelling novel of a woman’s life in transition and the search for a new sense of self. Colt Tailing was a finalist for the Tennessee 2003 Peter Taylor Book Award Prize for the Novel. She is currently at work on a third novel, Letters to a Dying Friend. The presentation will be October 11, at Texas Tech University Conference Room, 102 E San Antonio Street in Fredericksburg, Texas. Refreshments will be offered at the reception and cost of the event is $5 for TTU Lifelong Learning members and $8 for non-members. Ms. Hanson’s book will be available for sale for signing by the author. For reservations or more info, contact Wanda Merchant at (830) 990-2717. Celebrate Texas Wine Month by purchasing a passport, visiting the 16 participating Texas Hill Country wineries, and getting it stamped. Call (830) 868-2321 for more information. 1606 E Main Street in Fredericksburg, Texas, & learn how projectile points are made. There will be many great items on exhibit and for sale. Food & drink will be available on the fort grounds. Dry camping is available on the grounds, while there is a RV park across the highway for those who wish to have water/electric hookups. The Knap-in is open to the public. Registration fees are $5 for knappers, and $10 for vendors. Attendance is free to the public. Residents of Fredericksburg will have a unique opportunity to enjoy a live dance and music presentation by the Sonnerose Folklore Dance Group from Jetterswiller in the Alsace region of France. They will be accompanied by the Veherle Blas Music Group from Hochfelden, France, with a total of 28 musicians and dancers participating in the show. The show is free and open to the public at Fredericksburg Brewing Co.'s Biergarten, 245 E. Main Street. Show time is 6 pm. The group is in the U.S. for 1 week to perform at Castroville’s “Heritage Day”, at the State Capitol, in Houston and other communities. Castroville is known as the Little Alsace of Texas and was settled beginning in 1844 by European immigrants from the Eastern region of Alsace, France. Their heritage has remained a true source of pride for the citizens of Castroville and also has grown into interchanges between the two regions.